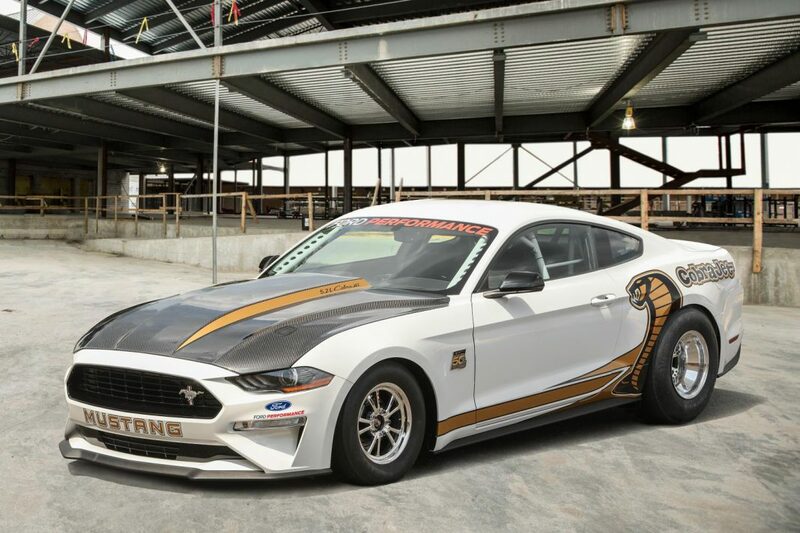 Home Supercar News Ford 2018 Ford Mustang Cobra Jet Revealed – Fastest Mustang Ever! 2018 Ford Mustang Cobra Jet Revealed – Fastest Mustang Ever! 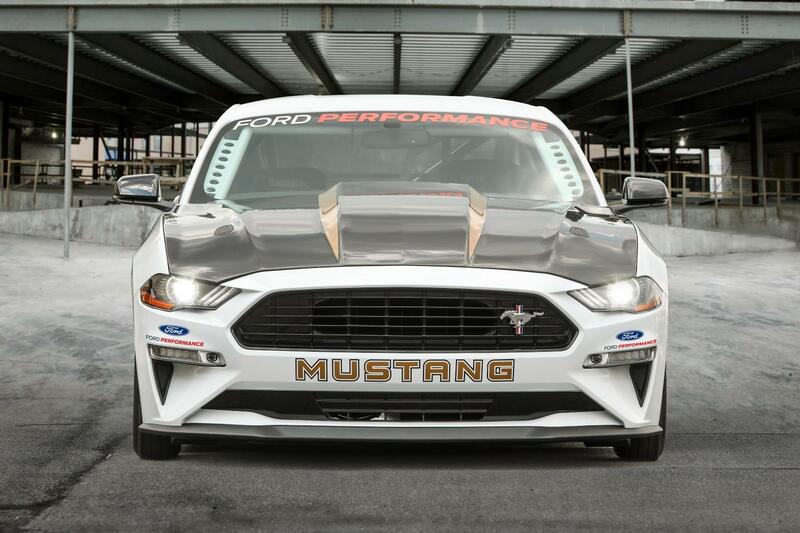 Ford has taken the covers off of it’s fastest Mustang yet. 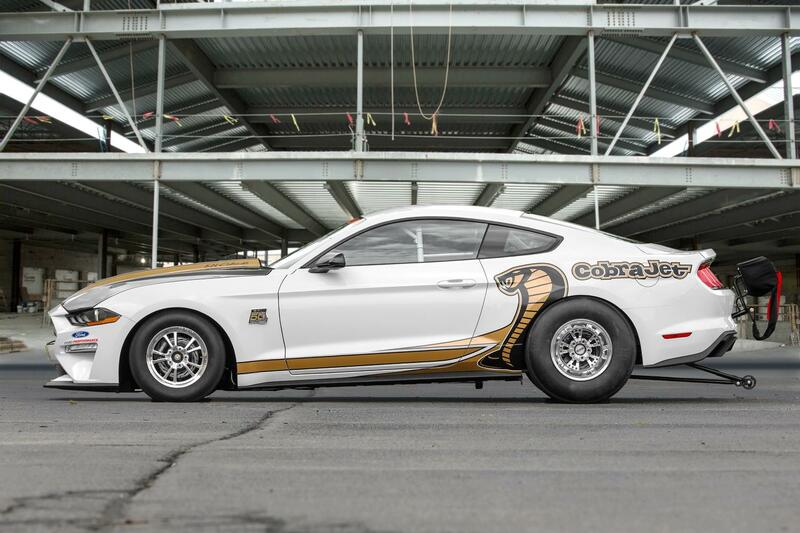 Destined for the drag strip, the 2018 Ford Mustang Cobra Jet is a limited edition tack only model. 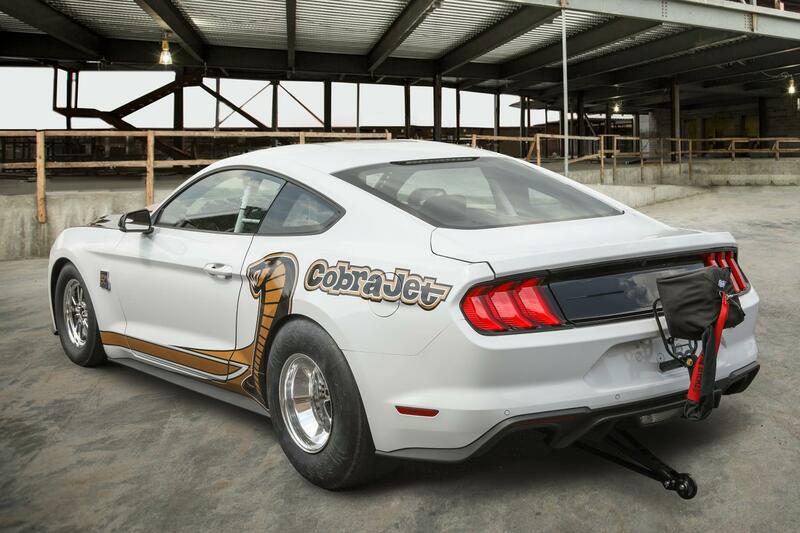 It pays homage to the original Cobra Jet, which debuted at NHRA Winternationals in 1968. Fittingly, the 50th Anniversary model debuted this past weekend at the Woodward Dream Cruise 2018. Ford’s latest model is available as a limited production run of 68 cars. 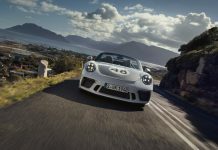 Each model will be capable of a 150 mph top speed with a quarter mile time in the mid-eight second range. 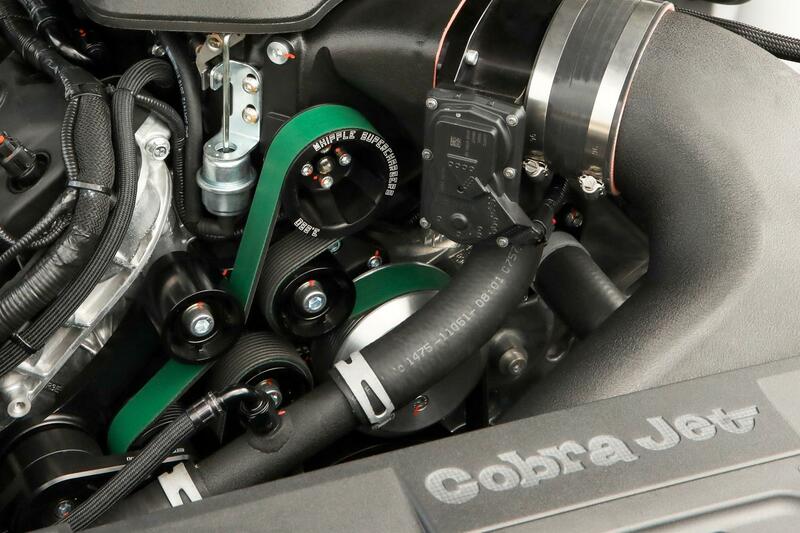 To understand the significance of this new model, it is important to understand the history of the Cobra Jet. The original car, which debuted in 1968, was also a limited edition. Just 50 lightweight Mustangs were produced with 335-horsepower engines. It put the Mustang at the top of the tree by winning the Super Stock class at the ’68 NHRA Winternationals. 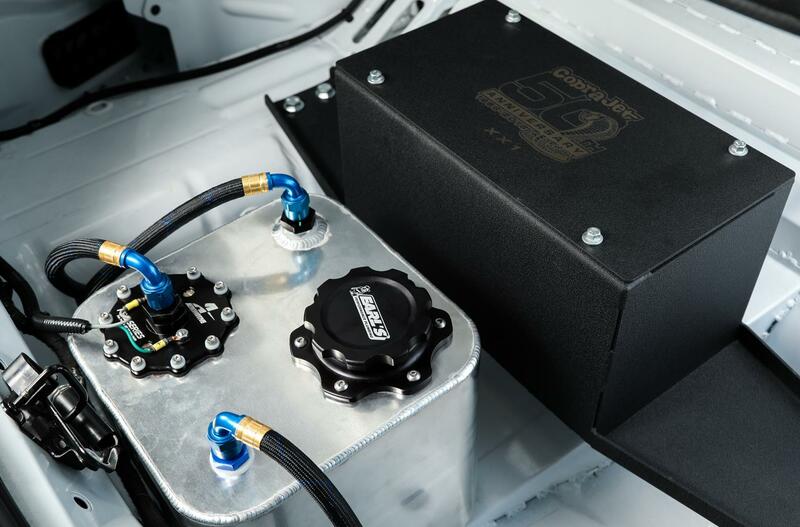 The car receives a special 5.2-liter version of Ford’s 5.0-liter V8 together with a re-engineered 3.0-liter Whipple supercharger. Ford have used a 9-inch solid rear axle, two-way coil-over shocks with adjustable ride height and a low-drag disc brake system, four-link rear suspension with antiroll and panhard bars. 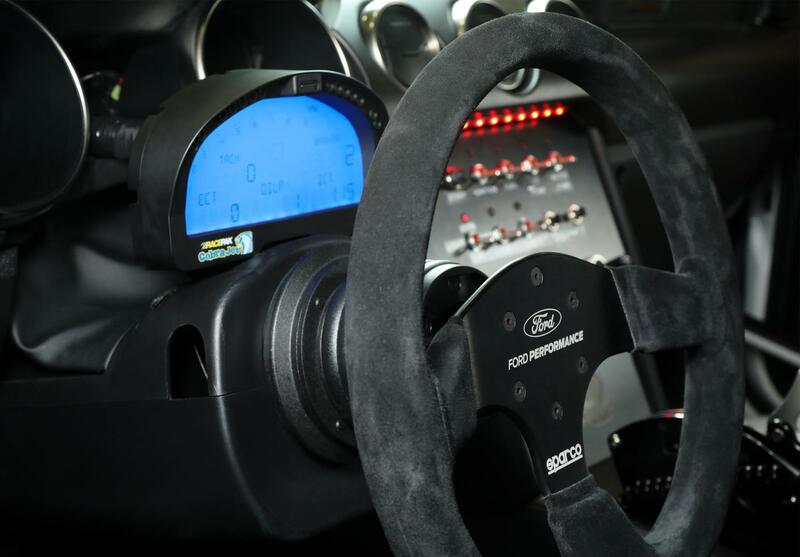 Ford will fit an NHRA-certified safety roll cage, FIA-certified seats and anniversary-badged racing wheels. Options available on the Cobra Jet include either Race Red or Oxford White paint, exclusive 50th Anniversary graphics and badging. Customers will pay around $130,000 for the privilege of owning the fastest Mustang of all time!